It is now time to register all the images before sorting them manually and adding them together. Two methods are available, depending on the planet that you photograph. Considering the shape of Saturn with its rings, you have to use the planetary registration with a size of 512 (command "pregister") or 256 if the planet is quite small. 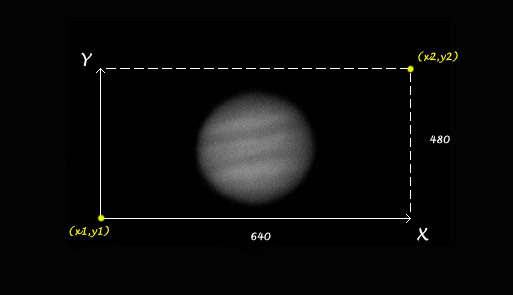 On the other hand, with Jupiter or Mars, use "cregister" because their shape is close to a circle. On Uranus, if it's obscured by noise, use "pregister" or "cregister". Choose "pregister" for videos of the Moon. Choose the procedure that suits your situation! In the command window, type the command "echo [message]": this has the effect of posting a message in the output window, to remember what we did. Useful for videos of Uranus and Neptune if these are noisy. It will perform the registration of all images in the sequence compared to the first image. In return, it provides the registered sequence. "Performs the registration of [NUMBER] planetary images having the generic name [IN] using an intercorrelation method. The size of the intercorrelation is given by [SIZE]. It must be a power of 2 (128, 256, 512...). The size should be larger than the planet diameter. [OUT] is the generic name of the output images. First use PREGISTER to define a selection rectangle around the planetary disc (drag with the mouse). Note that the size of rectangle is not important (the rectangle marks only the center of interest of the image)". 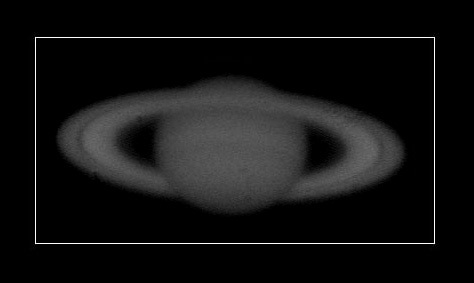 First select a frame around Saturn (or around a lunar crater), then run the command "pregister". 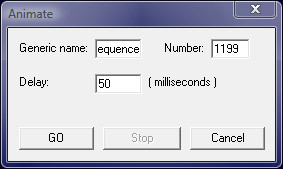 The output sequence is "sequence_registered". Info : is the level previously found and it corresponds to the level (i) of the center of Saturn, this level has been used for the calculation of offset and flat. If the registration is performed successfully, no shifting will appear. Another way to check that the registration was successful is to use the submenu "Animate" on the "View" menu using the sequence "sequence_registered" with 1199 images and setting a time of 50ms. Images must all be aligned with each other. Useful for Mars and Jupiter, but also for videos of Uranus and Neptune if these last two are noisy. First run the "mouse_select" command from the command window. This command will automatically select the appropriate area of the picture. Thanks to "mouse_select", you have virtually selected an area of the picture and you only have to run the "circle" command to draw a circle centered on the disc. The circle command requires a parameter (the threshold that defines the perimeter of the planetary disc). To find this, proceed by successive approximations. Don't hesitate to change the value of the threshold to fine-tune the circle to the planet's disc. Then run the registration (the images will align together) with "cregister" (if the movie was in color, it would be "t_cregister"). "Carry out the registration of a sequence of images from the coordinates of the center of a circle determined from a contour defined for the intensity THRESHOLD in each image." With 79 being the value of the threshold previously found.